Practice Areas | Phoenix, Arizona Commercial Law Attorneys | Atkinson, Hamill & Barrowclough, P.C. - Atkinson, Hamill & Barrowclough, P.C. Joseph M. Atkinson, Christopher G. Hamill and Patrick R. Barrowclough, who previously practiced law together at Fennemore Craig, established Atkinson, Hamill & Barrowclough in 1996. Joe Atkinson, certified as a specialist in real estate law by the State Bar of Arizona since 1991, has extensive experience in major real estate transactions, commercial contracts, financing transactions, corporate law, commercial leases and golf course development and operation. Chris Hamill has a commercial litigation practice with an emphasis on contract enforceability, warranties, trade secrets, fraud claims, employment issues, business torts and automobile dealership issues. Pat Barrowclough represents creditors in complex bankruptcy and creditors’ rights matters, and has extensive commercial litigation experience with an emphasis on contracts, mortgages and UCC issues. Clients range from large multinational corporations to closely held family businesses, including manufacturers, dealers and retailers, real estate investment firms, commercial lenders and service companies. 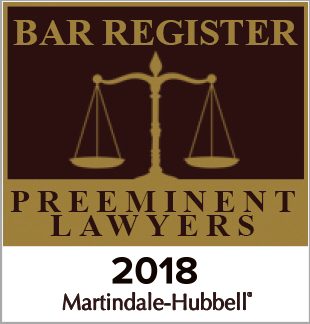 The firm is listed in Martindale-Hubbell’s Bar Register of Preeminent Lawyers.